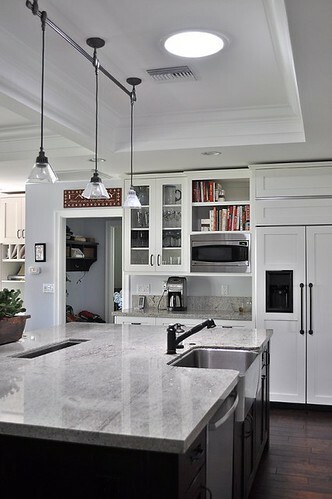 What are some components you'd like to see in your dream kitchen? Oh swoon. 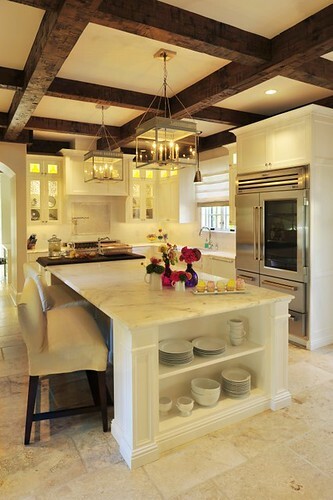 I LOVE the whites in these kitchens. 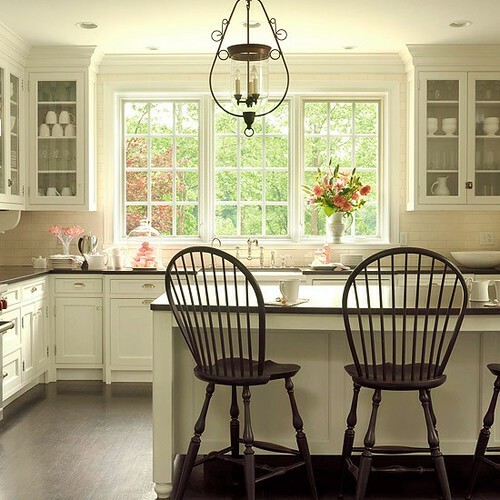 I dream of BIG windows that let the light in, a cute nook, sassy hutches, and dark woods. The first one is my absolute favorite!! 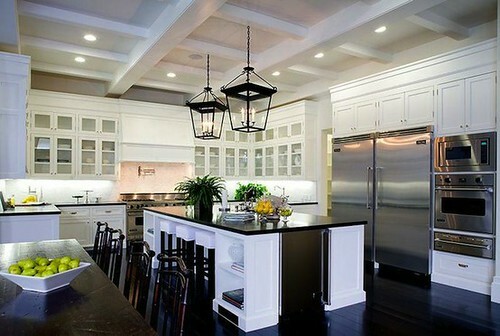 :) I love kitchens with lots of natural light. But other than that I haven't thought about it much. To Pinterest I go!! 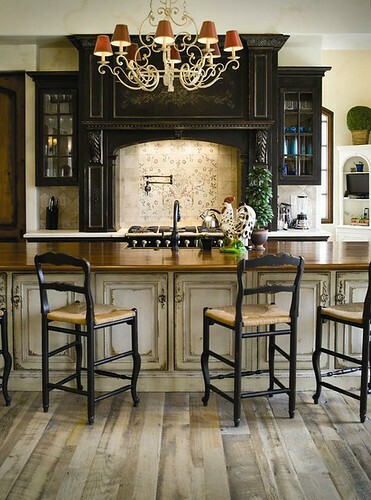 I love day dreaming about kitchens. 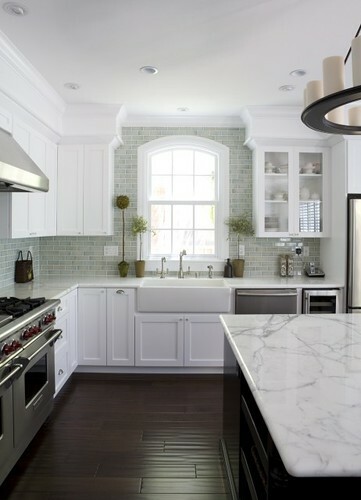 White kitchens are the best i think! ooo i love pic #5 after the text. definitely a HARD WOOD fan. 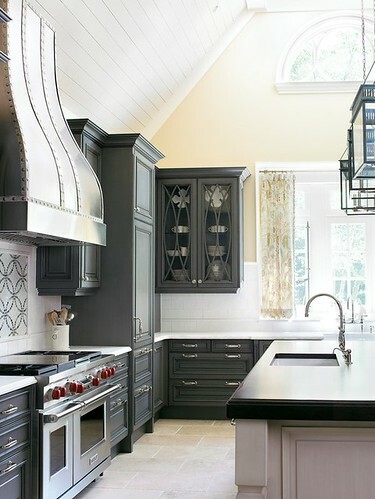 basically i just want a HUGE kitchen. i'm pretty much swooning over all of those! 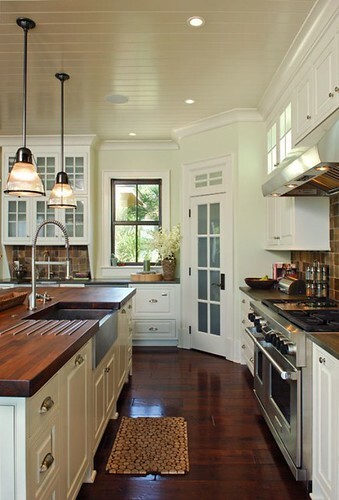 anything is better than the kitchen i have right now.